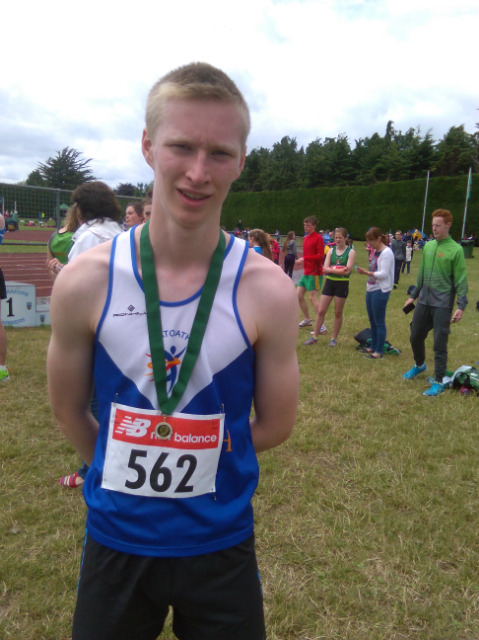 Peter Kilgannon completed a unique double in the East Leinster schools championships today. Peter added the 800m senior title to the 400m (51.6 sec ) he had already secured the previous Tuesday. Passing the bell in 61 sec, Peter always looked comfortable and went on to break the tape in 2.00.5.